Long-distance relationships can be tough. A lot of planning and saving go on to decide upon a perfect staycation where a couple can finally stay together sans any judgement. So, here it is. If you're coming to Pune to finally meet your partner, Nava's studio in Koregaon Park is the place for you. Nava's Studio is serene, clean, quaint and affordable. In short, everything that a couple is looking for. The space is done up tastefully with soft aqua hues, charming furniture, soft romantic drapes and a gorgeous rooftop decked up with cane sofas, cocoon swings, multi-colored cushions and leafy potted plants. Apart from all this, there is a kitchenette too where one can cook meals. The studio is well-appointed with AC and television. However what we like the most about this staycation is the guest herself. Nava is warm, friendly and can double up as a local guide too. She speaks English, Hebrew and Portuguese and has many travel stories to share. Isn't that lovely? 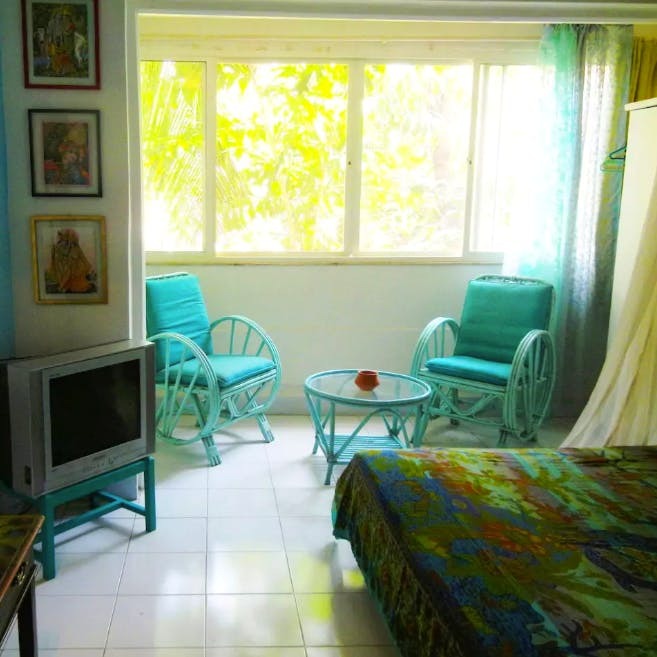 Nava's Studio comes for INR 25,100 per night and is one of the hottest properties in Koregaon Park. We recommend you book it way in advance of your visit to avail the best deal.